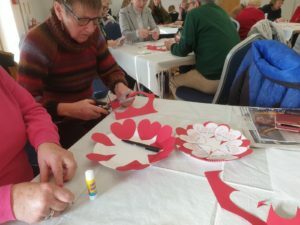 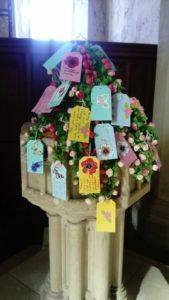 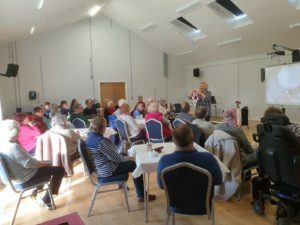 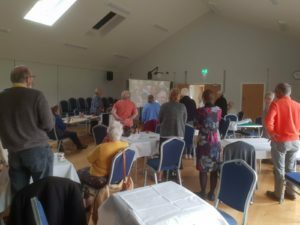 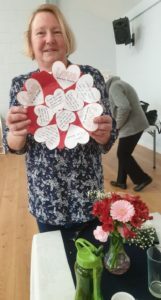 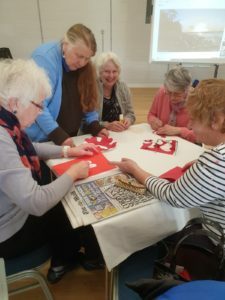 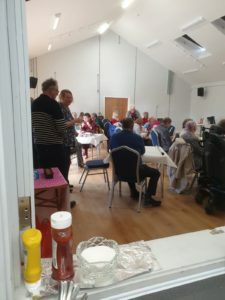 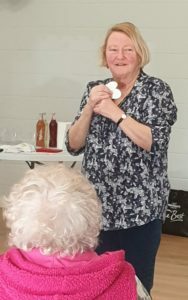 Jan Balfour led Café Church again on Mothering Sunday with once again a fair-sized established congregation of participants in Trimingham Hall. 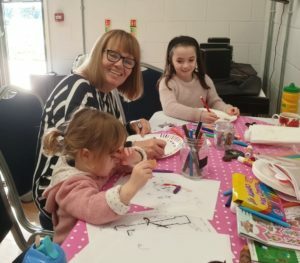 Hot drinks and bacon butties were followed by a range of different activities in celebration of motherhood. 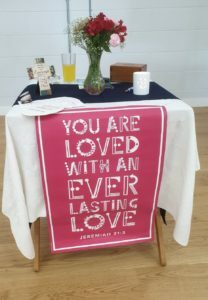 This Sunday Jan Balfour led Café Church with a much increased congregation of café-goers, this time focusing on the theme of Love. 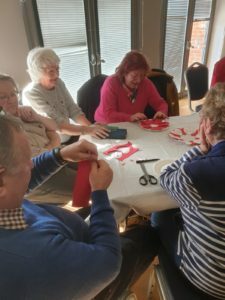 Singing, listening, creative activities and thoughtfulness were the order of the day. 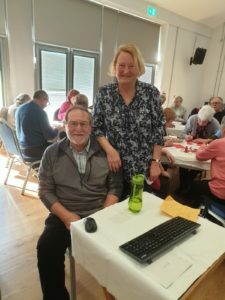 This Sunday, Jan Balfour led another session of Café Church in Trimingham Hall, where Sunday newspapers, bacon butties, tea and coffee were at hand to accompany an informal service aided by YouTube on smart board. 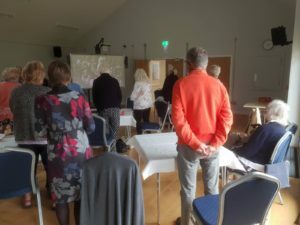 Singing, discussion and thought-provoking talking-points were the order of the day, together with encouragement to join in energetic expressions of faith!